I just grabbed a reservation for Jaleo in April on OpenTable. I'm literally doing the Hamster Dance over this. And DH is cool with ditching our existing Sebastian's reservation. I'm just hoping Jaleo Disney Springs is as awesome as the one in DC. Yay Jose! I will be interested in the reviews from folks who have experienced one of the DC-area versions vs the DS location. We like the DC ones quite a bit, but they aren't cheap. Initial indications seem to be that DS Jaleo will be even more expensive. Don't see really trying that when we have the local versions nearby. A great add for DS for those who don't have access to this kind of place at home though. Intresting to me how the small plates aren't very small. Be hard for a couple to order and eat with out getting full or just wasting food. Tim Tracker put out a new video on a dinner visit to Jaleo. Looked fantastic, if expensive. Like most tappas places, its more fun to go with a group to share things with vs 2-3 people. From my DC experience, the size of the tapas plates varies. The wdwmagic review appears to feature a couple that are on the large side. You could end up gravitating to smaller plate selections and order quite a few plates for two people without overeating. None of the reviews caught one of my go-to favorites: Dátiles con tocino 'como hace todo el mundo' (fried bacon wrapped dates). As @Hockey89 said, I've been to the Vegas and DC locations too, I can't see why the FL location wouldn't be just as good. And maybe I'm terrible, but DH and I usually do this as date night instead of a crowd. And it takes 2 - 3 hours and we only order one carb-y dish. A bottle of wine, cured meat plate, cheese plate, a salad, a vegetable or two and paella. We usually don't have room for dessert. The Vegas location is delicious. 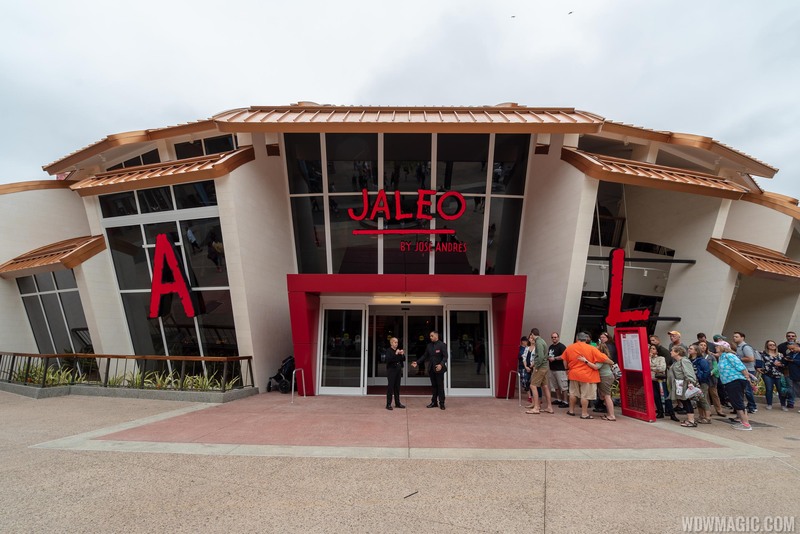 I wasn't planning to visit Disney Spring--I'm going just to dine at Jaleo. Disney Springs was one of our favorite parts of WDW, I hope you end up going there!